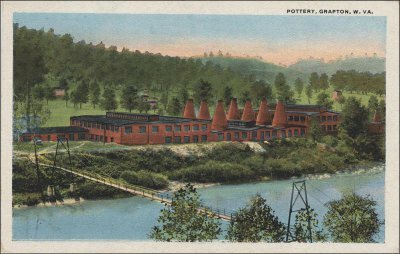 This is a very hard-to-find postcard of the Carr China plant, with the name "Pottery, Grafton, W. Va." printed in the upper right corner. 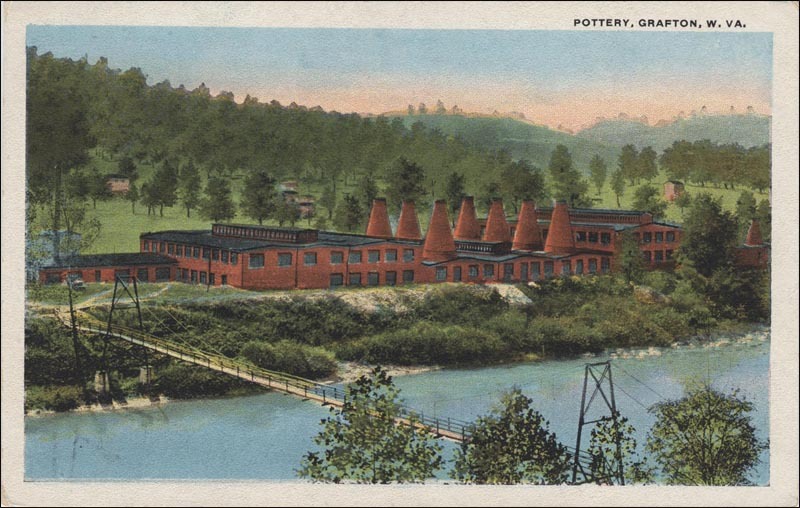 The colors are bright and unfaded and clearly show the walking bridge across the Tygart River that many employees used to get to work, plus seven beehive kilns in the plant. Condition is very good. A couple of the corners are bent a bit, as shown in the photos. The card is 5 1/2" by 3 1/2". 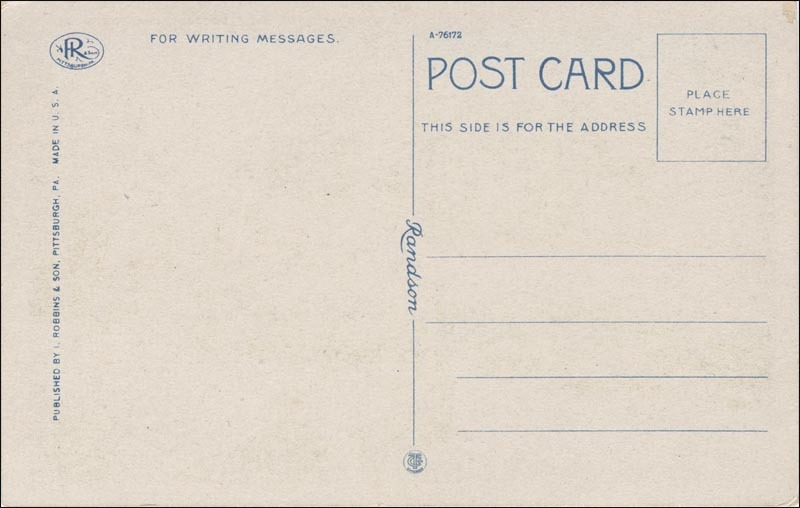 Shipping by First Class mail is free for this card!